Researchers in several academic fields have indicated an increase in academic authorship disputes and the utilization of unethical authorship practices over the past few decades. This trend has been attributed to a variety of factors such as vague authorship guidelines, power disparities between researchers, dissimilar disciplinary and/or journal practices, and a lack of guidance for emerging scholars. As a rapidly emerging academic field, sport management (and its connected sub-fields) maintains the propensity for unclear procedures due to the various departments, schools, and colleges the field calls home (e.g., kinesiology, sport science, education, business), as well as the wide variety of journals that the field’s scholarship resides in. This situation is similar to many emerging or expanding fields as they navigate the university landscape of more established disciplines and fields. Utilizing a three-round Delphi survey method, the current research examined expert opinion on authorship practices in sport management scholarship. Through a combination of open-ended, response, and Likert-type questions, the expert survey attempted to identify areas of consensus and non-consensus in an effort to determine the current status of publication practices in the field, as well as ascertain areas of need for future study and improvement. All authors declare that there are no conflicts of interest pertaining to the current study. Q1. In your opinion, what types of scholarly responsibilities should warrant authorship on a manuscript? Q2. In your opinion, what types of scholarly responsibilities should warrant acknowledgment, but not authorship on a manuscript? Q3. In your opinion, what types of scholarly responsibilities should not warrant authorship or acknowledgment on a manuscript? Q4. In your opinion, what forms of common authorship practices do you consider ethically questionable? Q5. 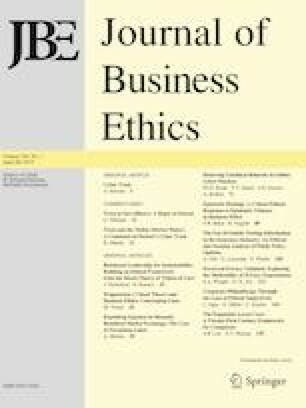 In your opinion, what forms (if any) of ethically questionable authorship practices are prevalent in sport management research? Q6. Describe the ideal relationship between a sport management mentor and a doctoral level advisee. Q7. In your opinion, do some sport management mentors take advantage of their doctoral advisees during the research process? Q1a. In your opinion, are their circumstances that would allow authorship without a scholar actually writing any segment of the manuscript? Q1b. In your opinion, are there (or should there be) special considerations for dissertation advisors in regard to authorship guidelines/standards? Q2a. In your opinion, do some sport management scholars consider the prestige of the individual prior to determining whether their efforts warrant acknowledgment? Q3a. In your own research endeavors, what are the factors that help you determine whether an individual’s data collection and/or analysis warrant authorship or acknowledgment? Q3b. In your opinion, if a graduate student completes a classroom assignment at a high level, and you encourage them to submit for publication and guide them through the process, does this action warrant authorship or acknowledgment? Q4a. In your opinion, how would you describe self-plagiarism? Specifically, what is the appropriate length of “duplication” (if any) and is it appropriate to reuse or reprocess data and/or results if the theoretical lens of the manuscript has changed? Q4b. In your opinion, would a philosophical change and/or complete elimination of the tenure process reduce the amount of ethically questionable authorship practices? Q5a. In your opinion, are there any opportunities to minimize or eliminate the practice of quid pro quo? Q5b. Salami slicing…was indicated as the most ubiquitous ethically questionable practice in sport scholarship by the panel. What steps can reviewers and/or editors take in order to eliminate this practice? Q5c. As a selected expert in our field, how concerned are you over the utilization of salami slicing in our discourse’s top journals? Q6a. Do you believe that there is a lack of quality mentors in our discourse? If yes, what steps can scholars take to ensure doctoral students are receiving the most comprehensive education? Q7a. How would you view a mentor instilling a policy that required the inclusion of his/her name on all manuscripts produced under their supervision. Would your opinion change in the mentor informed potential students of this policy prior to beginning their program of study? Q7b. Would you consider directly addressing, or informing departmental administration, if you felt a colleague was taking advantage of his/her doctoral students from a research perspective? 22. Salami slicing is currently a problem in sport scholarship. ABDC. (2015). ABDC journal quality list 2016. Retrieved from: http://www.abdc.edu.au/pages/abdc-journal-quality-list-2016.html. American Psychological Association. (2015). Publication practices and responsible authorship. Retrieved from: http://www.apa.org/research/responsible/publication/. Authorship guidelines. (2014). Human Kinetics journals: The Journal of Sport Management. Retrieved from: http://journals.humankinetics.com/authorship-guidelines-for-jsm/authorship-guidelines-for-jsm/apaq-authorship-guidelines. Guide for authors. (2015). Elsevier—Sport management review. Retrieved from: http://www.elsevier.com/journals/sport-management-review/1441-3523/guide-for-authors#9100. ICMJE. (2015). Defining the role of authors and contributors. Retrieved from: http://www.icmje.org/recommendations/browse/roles-and-responsibilities/defining-the-role-of-authors-and-contributors.html. Rankings. (2014). Maclean’s. Retrieved from: http://www.macleans.ca/education/unirankings/. WAME. (2015). Recommendations on publication ethics policies for medical journals. Retrieved from: http://www.wame.org/about/recommendations-on-publication-ethics-policie.